Two manufacturers, which in the past few years I have spent considerable time investigating products, are Ayon Audio and Legacy Audio. 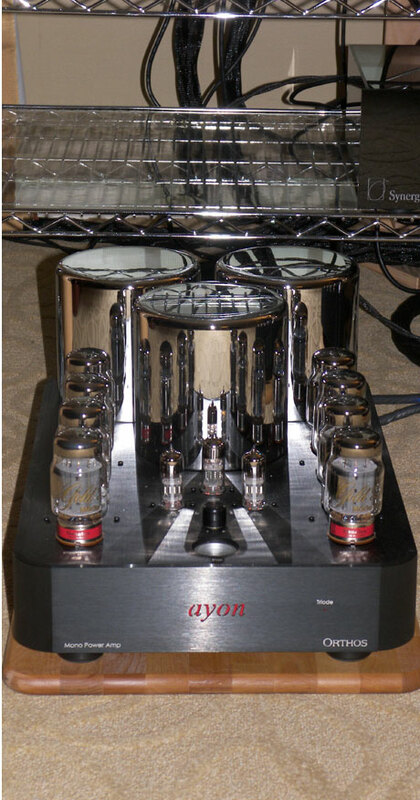 The Ayon CD-5, which I have recently reviewed, is nothing short of spectacular. I am seeing more Ayon players utilized by manufacturers in show systems as the word gets out about them. In the exhibit, the Legacy Whisper XD has been upgraded with new bass drivers controlled by an internal 500W IcePower amp module; its upper end was driven by the Ayon Audio Orthos monoblock amplifier. The speaker now seems to resemble the higher-level Helix even more, only at a more affordable price point. Together, these produced a powerful punch; the bass was reminiscent of subwoofers, not floor standing speakers, and the degree of detail was remarkable. The room was not conducive to a proper demonstration, as the quarters were too cramped, making the presentation at higher levels overwhelming in the bass and the treble overdone. I would not recommend users of the Whisper XD to opt for a nearfield listening position if they have the choice. 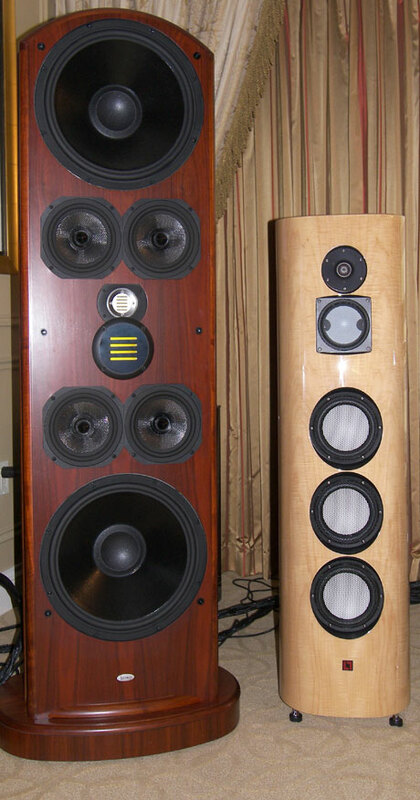 However, the Whisper XD captures quite a bit of one of my show’s favorite speakers, the Evolution Acoustics MM Two. I consistently enjoy the sound of the Gershman/VAC systems at shows. I especially enjoy the pairing of the Gershman Black Swan and the VAC power products. This year’s new wrinkle was the utilization of Gershman’s new cabling, including power, interconnect and speaker cables. 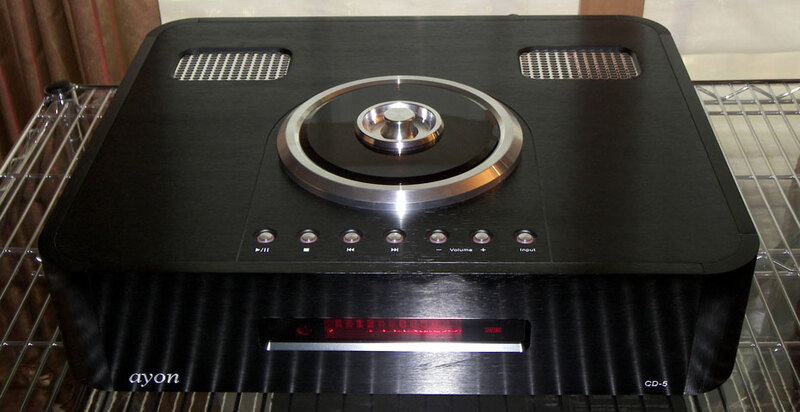 These manufacturers unfailingly assemble an eminently listenable system which dances with effortless, fluid music. I enjoy the warmth, bass presence, delicate treble and gorgeous mids. 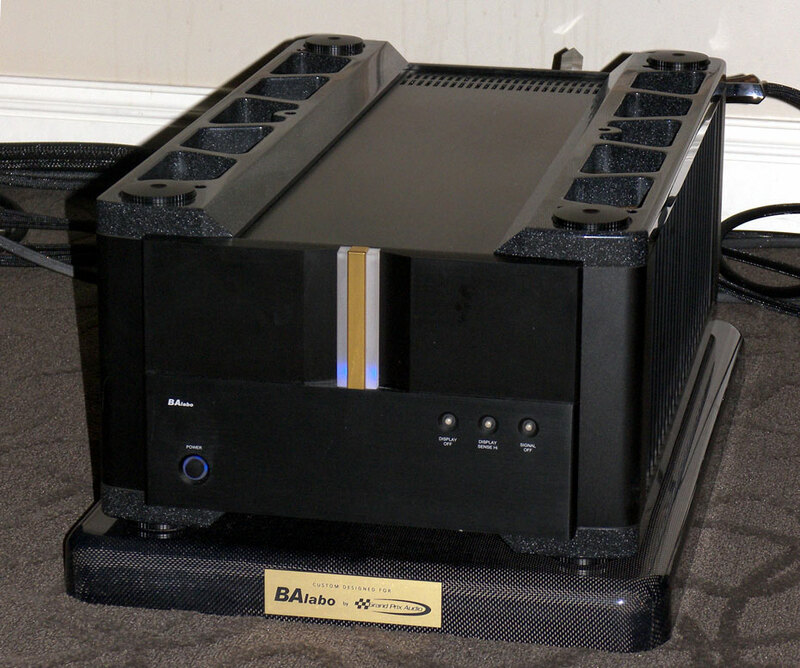 This is a system which captures much of the ultimate in an audiophile rig. There is typically a “standard” setup used for this system as I’ve seen it from show to show, with little effort to avoid room boundaries or treat the room extensively, yet the sound is superb every time. That means such a system could be taken to extremely high levels with proper positioning and room treatment at home. Compared to the absolute largest and best systems it is only limited in the reproduction of the scale of music. In terms of quality of reproduction it is among the best. Depending on cabling needs this system tips the scale at the $550,000 mark. Did it sound like a “million bucks”, or at least half a million? 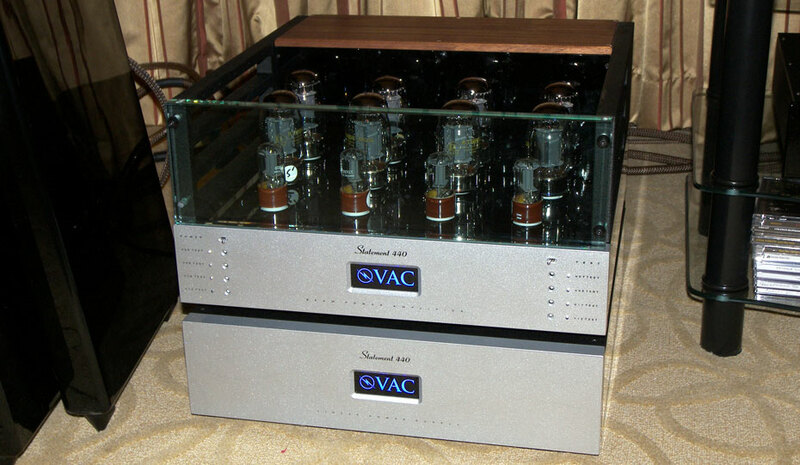 Well, compared to a lot of $150-200K systems at the show, yes it did sound quite a bit better. It had the makings of a “no holds barred” approach to audio. It sounded majestic, beautiful, powerful and exceptionally expressive.